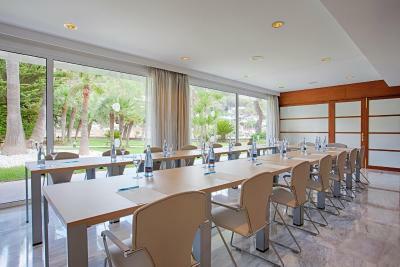 Lock in a great price for Grupotel Molins – rated 8.4 by recent guests! I have to say this hotel more than met my expectations the staff were very friendly and nothing was ever a problem. The food was excellent and we will definitely be returning. Staff were attentive friendly and helpful. There was a good choice of food at breakfast and dinner. Everything. been there so many times and it has never lets us down in any way. Staff are helpful and amenable. Food is excellent. Such a varied choice and well presented. A well appointed, well equipped hotel in a very pretty location. 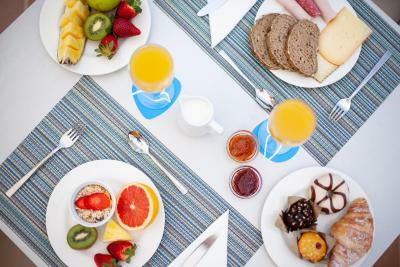 The staff are particularly cheerful and helpful and the buffet-style restaurant provides a wide selection of good food. Hard to beat for all-round value for money. Fabulous relaxing hotel in great location. Super clean beach adjacent to hotel with excellent beach bar. Hotel restaurant food is super quality so I would recommend half board. The location is extraordinary and the view from the rooms is indeed beautiful. The staff was incredibly nice and was taking care immediately for some "less good" points we told them. Grupotel Molins This rating is a reflection of how the property compares to the industry standard when it comes to price, facilities and services available. It's based on a self-evaluation by the property. Use this rating to help choose your stay! 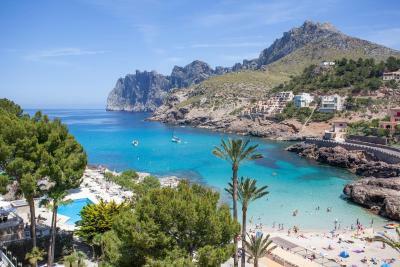 One of our top picks in Cala de Sant Vicenc.Grupotel Molins is ideally placed, with direct access to Majorca's Cala San Vicente Beach. It offers a large outdoor swimming pool and free public parking nearby. 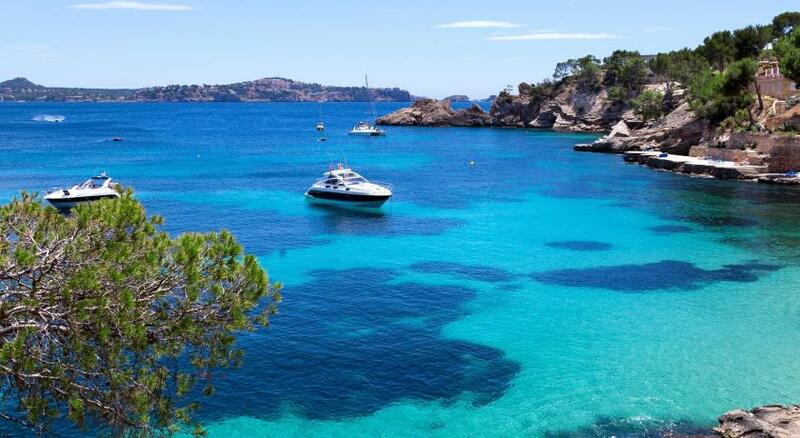 The hotel has a peaceful setting in Molins Bay, 2 miles from Port de Pollença. 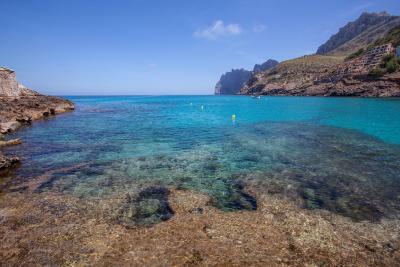 There are views of the sea and the Tramuntana Mountains. 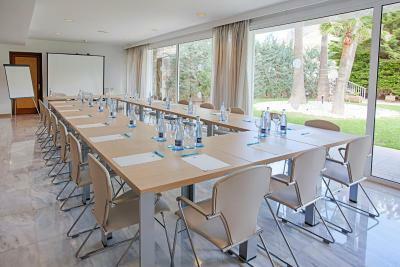 Rooms at the Grupotel Molins are bright and spacious. They have a terrace, air conditioning and satellite TV. The private bathrooms have a hairdryer and bathrobes. 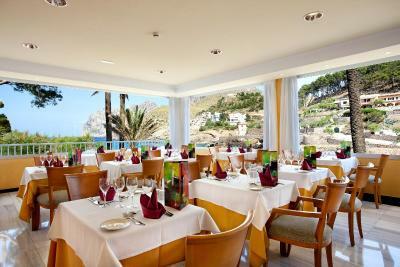 The hotel’s buffet restaurant serves local and international foods. There is a poolside snack bar, and a lounge with terrace. The hotel also has a private beach bar. The hotel offers an evening entertainment program. 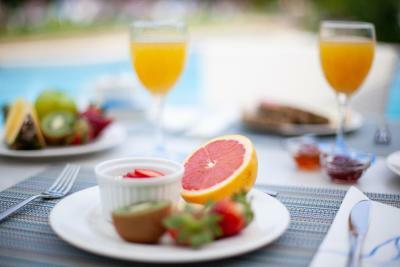 There is also a 24-hour reception, with services including babysitting, car rental and foreign exchange. 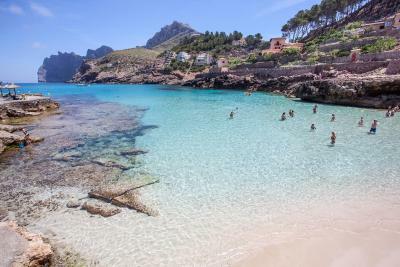 This property also has one of the top-rated locations in Cala de Sant Vicenc! Guests are happier about it compared to other properties in the area. 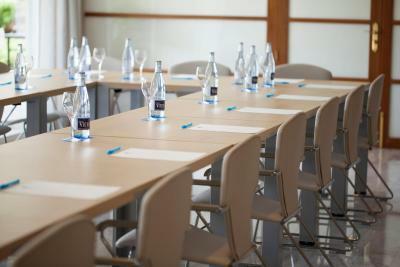 When would you like to stay at Grupotel Molins? 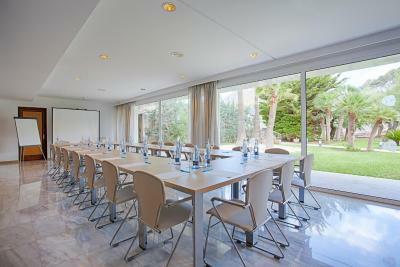 This bright room has a 23 ft² terrace with wonderful views over Cala Molins Bay. It includes satellite TV and a private bathroom with a hairdryer. There is an extra bed for the third guest. House Rules Grupotel Molins takes special requests – add in the next step! Grupotel Molins accepts these cards and reserves the right to temporarily hold an amount prior to arrival. Please note that male guests are required to wear a shirt and long trousers for dinner in the restaurant. There were no spare electricity points and given this day and age when everybody needs a charger for something, that can be a bit of an issue. Cleanliness in the rooms could have been a little better. The bedrooms are due for redecoration, but it isn't an issue. Nothing much, finding it hard to think of anything. We come on our honeymoon for 5 days it was hirandous! Dirty room , dated hotel , food was terrible , bar service terrible , tried to charge us 2.5 euro for ice for the room after already tipping over 10 euros after drinks etc ! Decided to leave after only one night. Manager promised to meet us at 11am on checkout to discuss but never even turned up. Wouldn't recommend this hotel to anyone.. The hotel needs some investment in renewing the bathrooms (already quite used and "dirty looking", even though they were cleaned of course). Also, renewing the air conditioning, installing external sunshades in the rooms, and adopting more energy efficiency measures. The rooms are directly exposed to the sun during the whole day and the rooms get very very hot. For this, we had to keep the air conditioning ON the whole day. Also, there should be some external sun protection. We also noticed there is no LED lighting in the hotel. It is not a very "green" location unfortunately. I believe this will change soon.